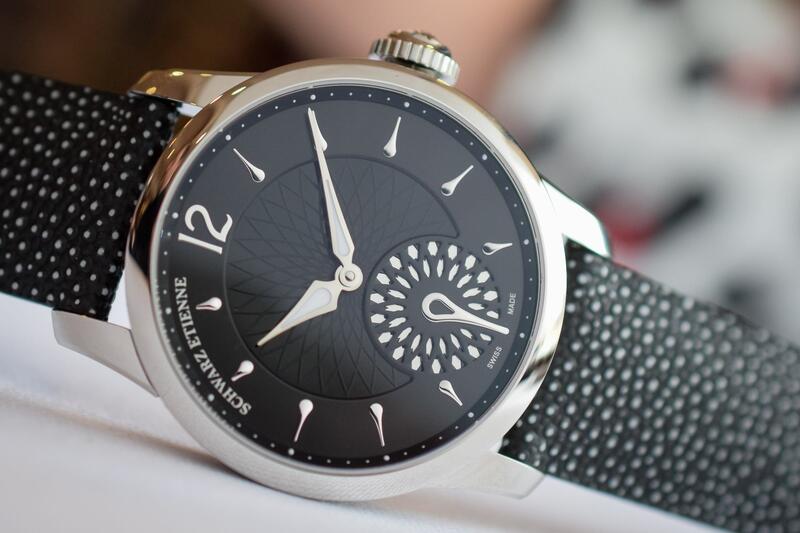 Independent Swiss watch brand Schwarz Etienne presents its first ladies’ watch with a modular case, an animated floral seconds counter and a generous view on the mechanical movement. 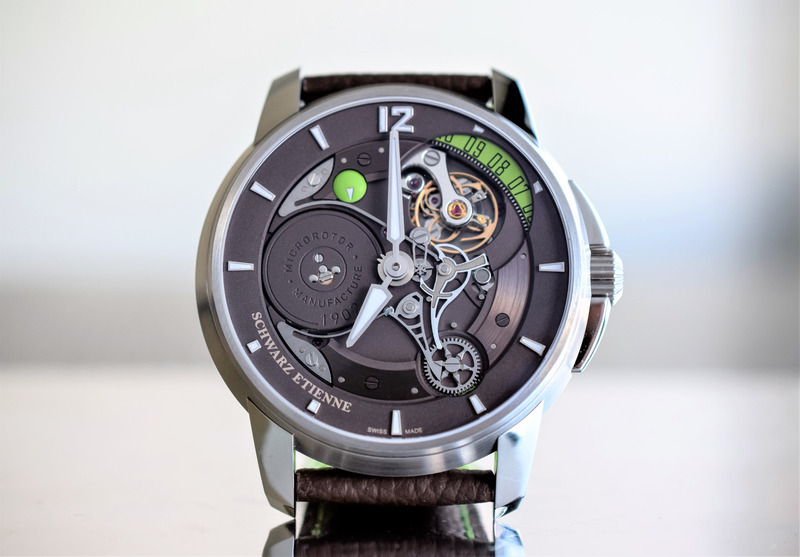 Tapping into four prevailing trends on the watch scene – women’s growing interest in mechanical watches, dynamic dials, interchangeable watch straps and personalisation options– Schwarz Etienne unveiled its first ladies’ watch, the Fiji Floral Seconds, during the Geneva Watch Week this month. 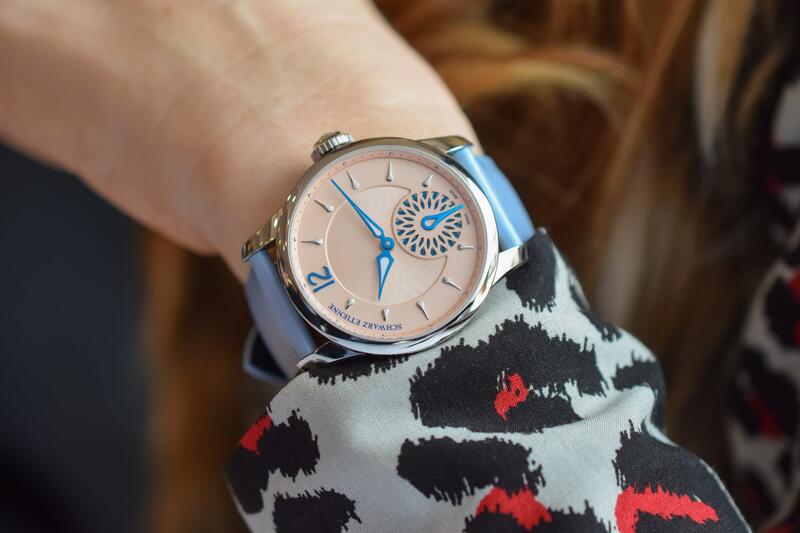 Designed by a woman for women, and not a downsized existing men’s model with feminine motifs, the Fiji Floral Seconds is full of quirky details that will appeal to women who are not in search of a conventional watch from a mainstream brand. 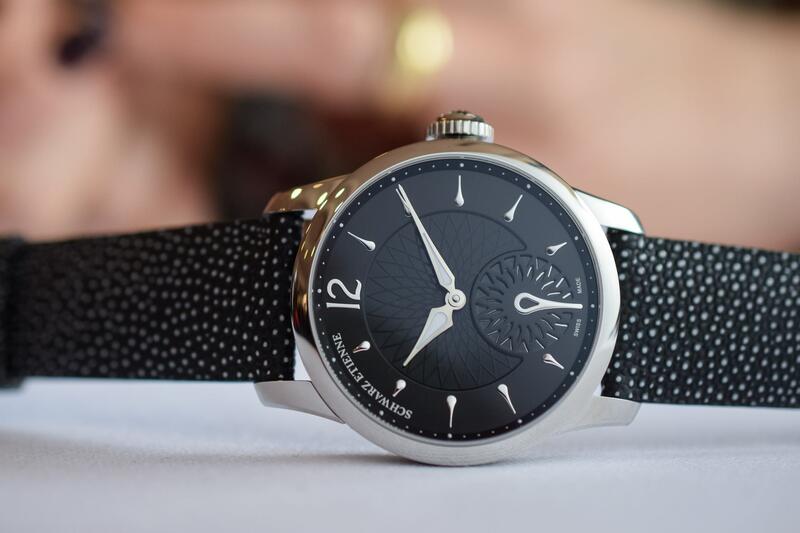 Independent watch brand Schwarz Etienne is full of surprises on both the technical and creative fronts. Hardly a newcomer to the watch scene – the company has been around since 1902 and specialised in producing components for the industry – the brand has potential thanks to its high level of vertical integration and its small portfolio of creative, imaginative mechanical watches. 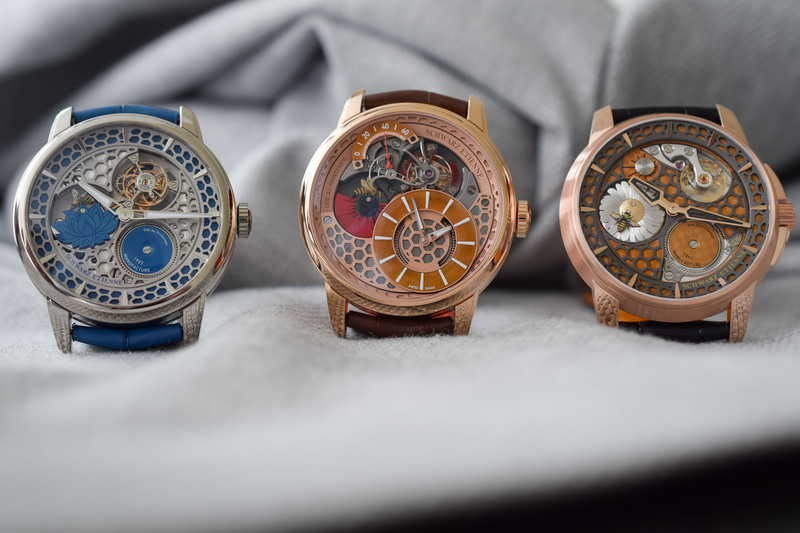 We’ve reviewed a couple of models recently, like the UFO-inspired Roswell and the limited edition box set Odes aux Saisons trilogy with flying tourbillons, buzzing bees and honeycombs. 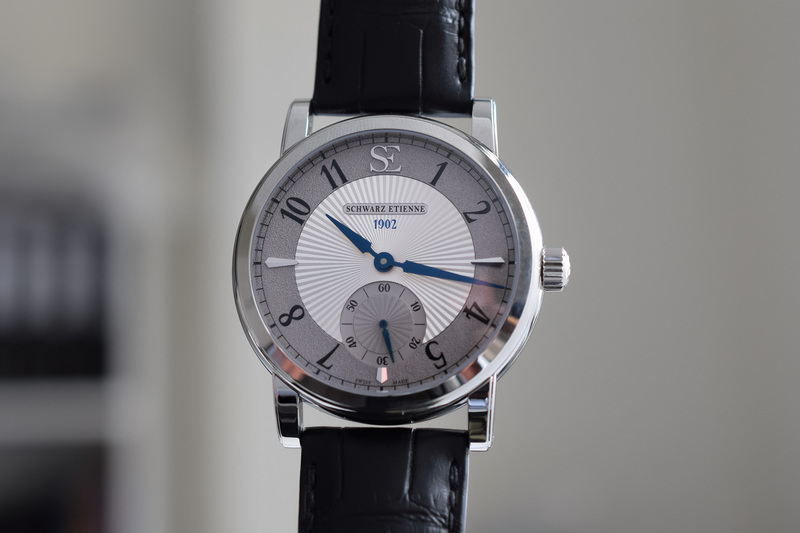 A frontal view of the 38mm stainless steel case reveals a fairly conventional round dial with sloping lugs. However, if you look at the case from the side, the brand’s predilection for modularity can be appreciated. Composed of three separate parts, the body of the case is crowned with a polished bezel and sits in a cradle formed by the lugs. 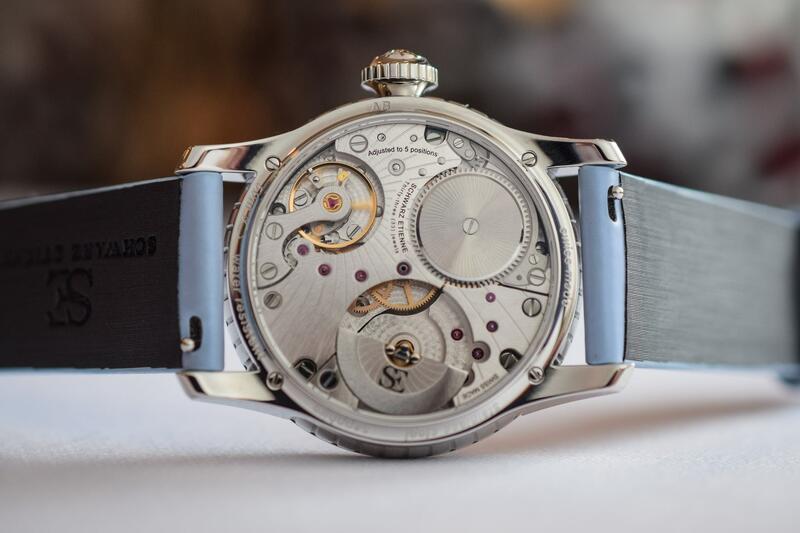 The cradle holds the central capsule in place with four screws, which can be seen on the caseback. In addition to the medley of shapes and different planes, the sides of the case band are engraved with vertical ribs and the large and prominent crown is set with a diamond. With a height of 10.76mm, the case has a lot of personality and presence and is a far cry from your traditional dainty women’s watch case. The modularity of the case, the fact that the central component can be extracted from the lugs and the bezel from the case, translates into greater choice for the customer in the future. Suppose you don’t like the shape of the lugs or prefer a smooth case with no engravings, or perhaps you fancy an engraving on the bezel? The modular approach to the case design opens up a world of possibilities. Presented in two colours – black with silver details or pale salmon with blue details – the dial is slightly recessed from the bezel giving an immediate sensation of depth. The silver-coloured hour markers are shaped like raindrops and applied to the dial along with the large Arabic numeral at 12 o’clock. The unusual droplet shape is both feminine and creates some interesting reflections on the dial. On the outer flange, the tips of the droplets reach out to a minute track punctuated with dots to indicate the hours. Elegant hour and minute hands, treated with luminescent material, glide over the dial. The central part of the dial is decorated with a tone on tone geometric floral motif and intersected at 6 o’clock by the animated floral display. Like a rose window found in Gothic churches, the dial has been cut-out in a floral design at 6 o’clock to reveal a subsidiary disc that is in constant motion. 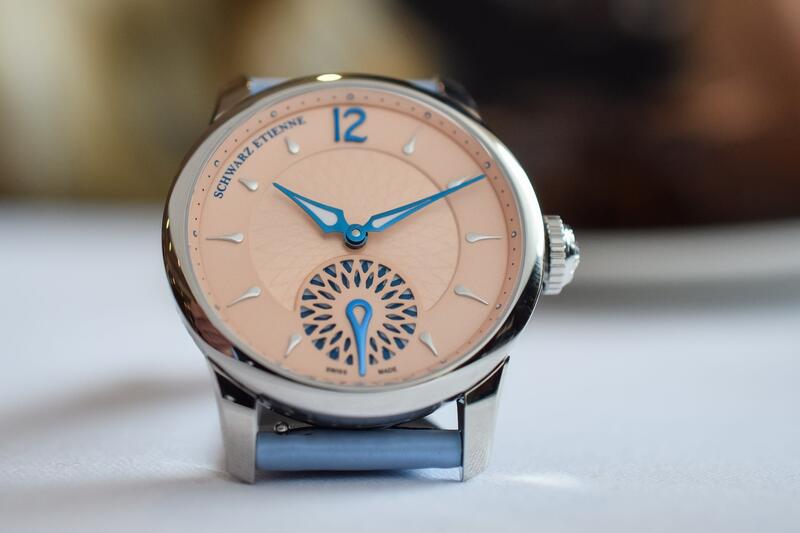 The droplet hour marker at 6 o’clock is larger than the rest and doubles up as the stem of the flower (a bit like a dandelion, in my mind) and the openworked lattice on the dial provides a view of the contrasting colours of the disc below. The effect is delightful but, contrary to expectations, the marker is static and the motion merely suggestive of the passing seconds. It can be viewed as a poetic reminder of the inexorable passing of time if you like, or a fail-safe signal that your watch is working. One of the surprising things about Schwarz Etienne is its high degree of technical competence. A niche brand capable of producing its own balance wheels and hairsprings is a rara avis. You can watch our video about our visit to Schwarz Etienne and its sister company E20 innovations where the hairsprings are manufactured, here. The Fiji Floral Seconds is fitted with an in-house automatic movement – calibre ASE 200.00 – with a micro-rotor. Like the modular case construction, the brand prides itself on its modular movement design. 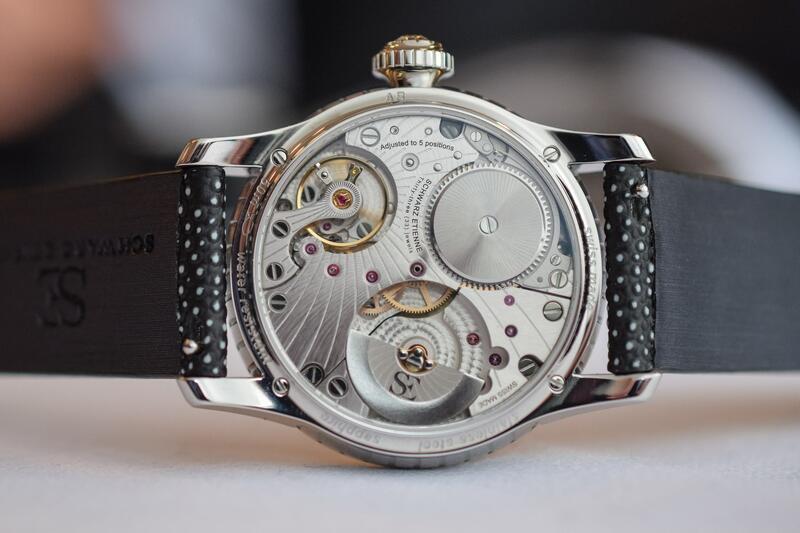 The architecture of its movements facilitates the adaptation of an automatic movement into a hand-wound calibre and vice versa. 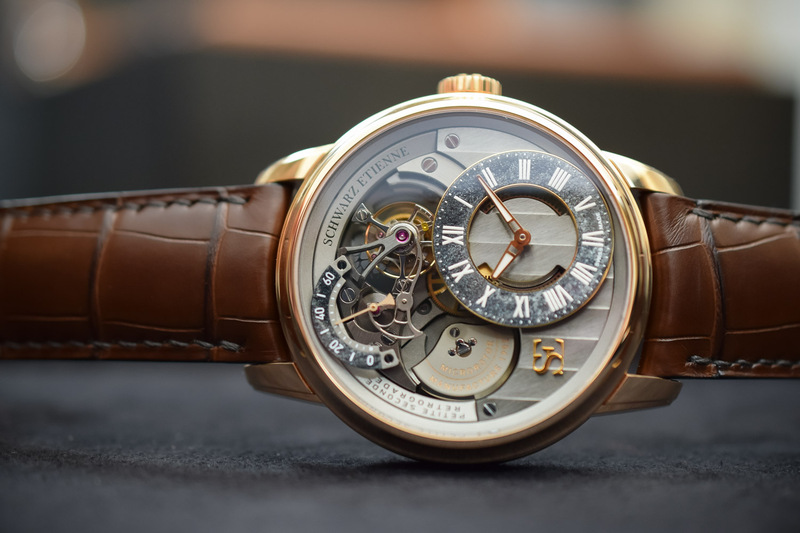 The comfort of an automatic watch, meaning that it has a mechanical heart but doesn’t need to be wound religiously every day, is a big plus and combined with the generous power reserve means you can take off your Fiji for stretches of up to 86 hours and not have to worry about the watch stopping. Another attractive feature for women who enjoy mechanical watches is the clear view of the movement on the reverse side of the case. 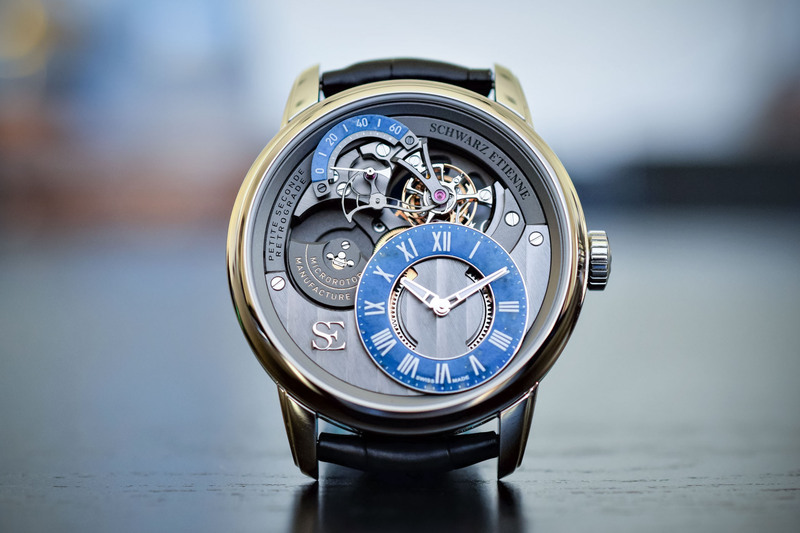 High-end finishes like the sunray decoration spanning the bridges, the balance bridge decorated with a guilloché motif and the perlage on the main plate add a touch of sophistication to the mechanical spectacle. The Fiji Floral Seconds has tapped into the current trend of interchangeable watch straps and has a very easy sliding system to change the strap without the need for tools. 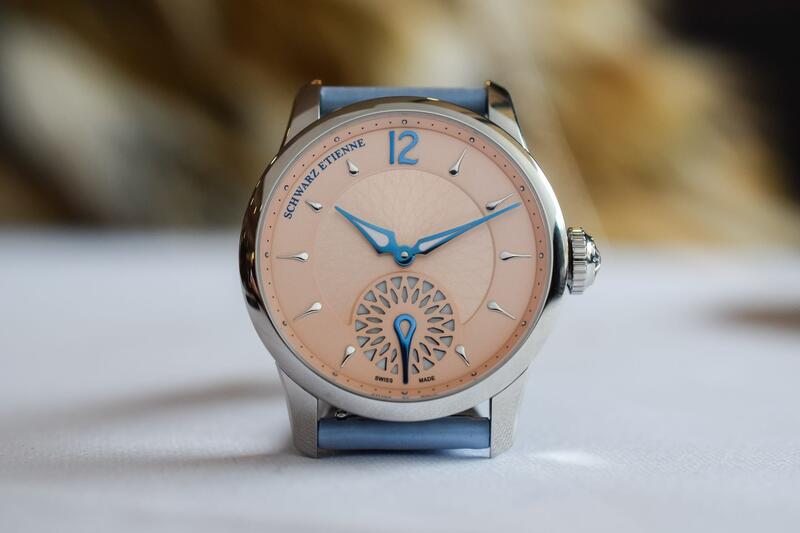 Each model comes with two straps; the black model with a black galuchat-textured strap and a ruby-red strap, and the pale salmon with a light blue and brown strap. Both are fitted with steel folding clasps. 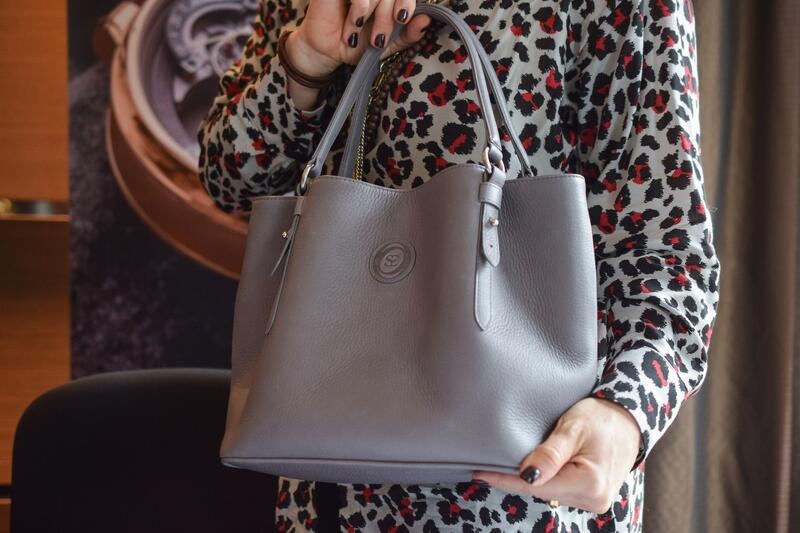 Instead of a traditional watch box, the Fiji Floral Seconds is presented in a grey grained leather handbag made by Noleti, a renowned Swiss handbag maker based in La Chaux-de-Fonds. 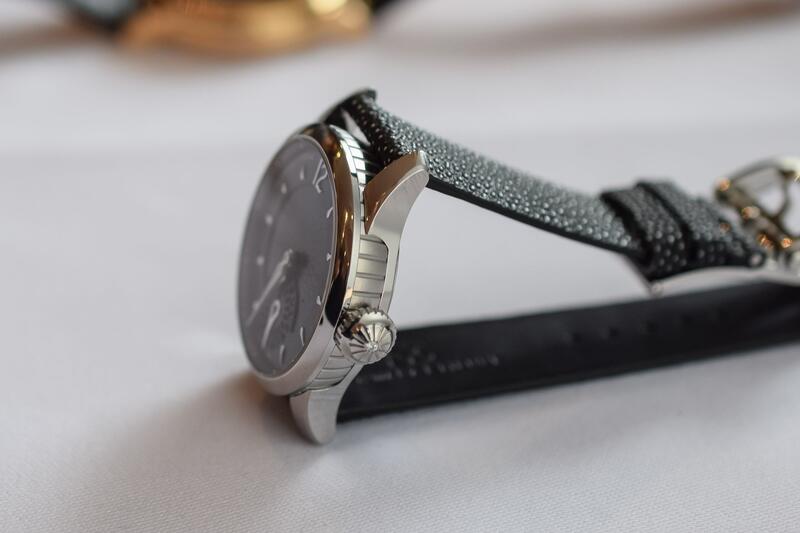 The watch retails for CHF 7,100 (excl. tax) or CHF 7,700 (incl. tax). For more information, please consult www.schwarz-etienne.ch. The design is very attractive. With a different strap it might make a nice mens watch, too. Well done, SE! If my wife would ever wear a watch, that would make a good birthday present. Beautiful in both salmon and black. Great idea of using a high end handbag as packaging. I appreciate the lack of diamonds and would like the crown better if it didn’t have one. Modern and hip, not elegant but not every woman seeks that. 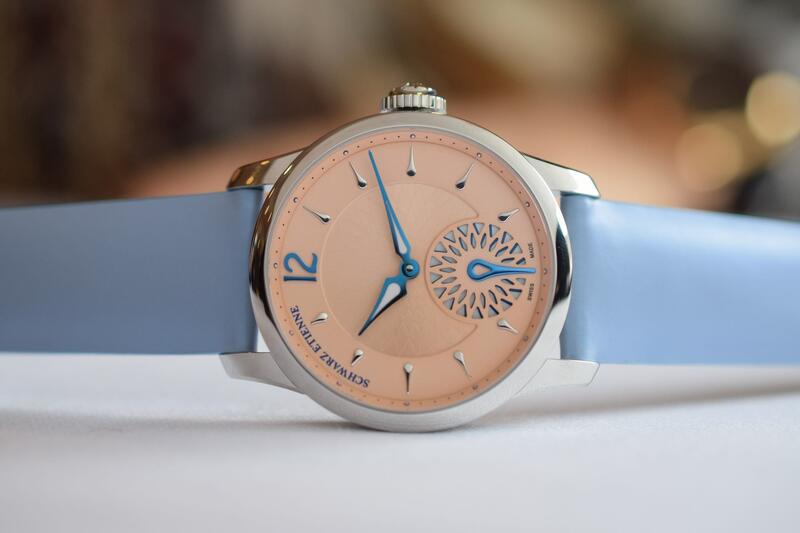 This watch seems pretty thick, and looks heavy, again bucking the conventional idea of what women want and like.